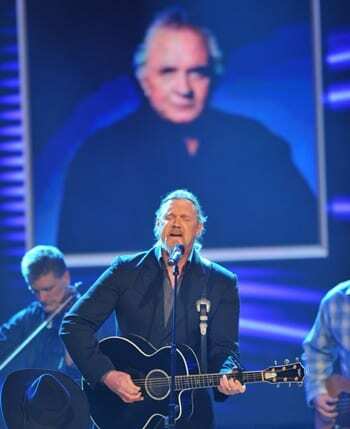 Trace Adkins performs during the induction of Johnny Cash. The GMA Foundation (GMAF) inducted Bill “Hoss” Allen, Johnny Cash, DeGarmo & Key and the Golden Gate Quartet into the GMA Gospel Music Hall of Fame on Monday, January 24 during a ceremony at Trinity Music City in Hendersonville, TN. 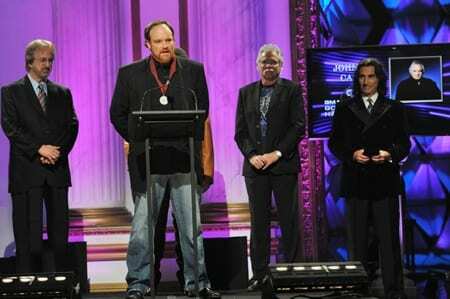 John Carter Cash accepts induction for his father Johnny Cash while presenters, The Oak Ridge Boys, look on. Those honoring the careers of the new Hall of Fame members were Trace Adkins, Jeremy Camp, Larry Gatlin, The Oak Ridge Boys, The Rambos, Ernie Haase & Signature Sound, Russ Taff, TobyMac, and more. The evening was hosted by Larry Gatlin and Chonda Pierce. 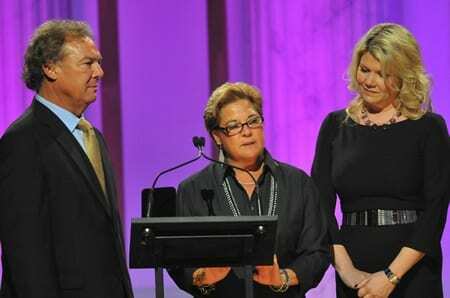 Bebe Evans, center, accepts the induction on behalf of her late father, Bill "Hoss" Allen. 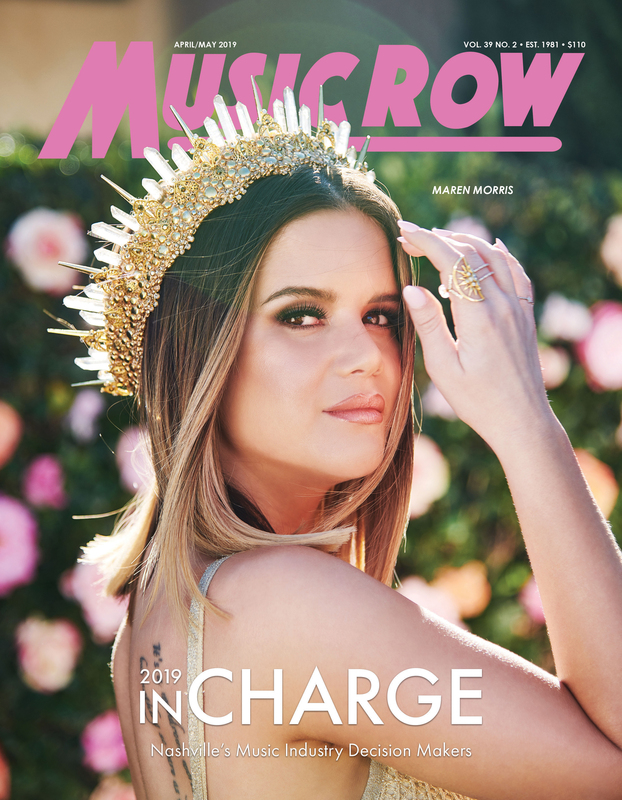 With Rogan Allen on left, and Marcie Allen on right. The GMA Gospel Music Hall of Fame induction ceremony was produced by the GMA Gospel Music Hall of Fame committee Tom Long chairman, Charles Dorris, Ken Harding, Ed Harper, Roger Holmes, Jody Mainello, Brian Mason, Stacy Merida, Judy Nelon, Diane Pearson, Gregory E.l Seneff, and Rick Goodman, executive producer. The ceremony was taped by Trinity Broadcasting Network for future broadcast. 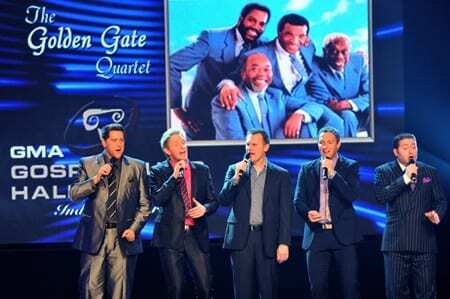 Ernie Haase & Signature Sound perform during the induction of The Golden Gate Quartet.